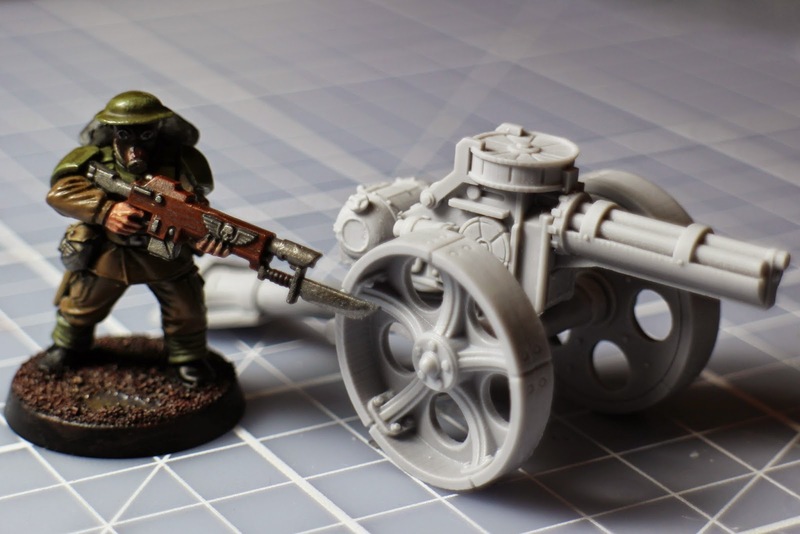 Talk Wargaming posted a review of some of Curious Constructs' artillery piece models. Go see what they had to say. Curious Constructs range of Field Artillery includes 4 weapon variants each mounted onto a standard weapon carriage. The carriage consists of 4 resin parts, two wheels, an axle and a blast shield. The style of carriage is very synonymous with those from WW1 with its structure being built from metal rather than wood.